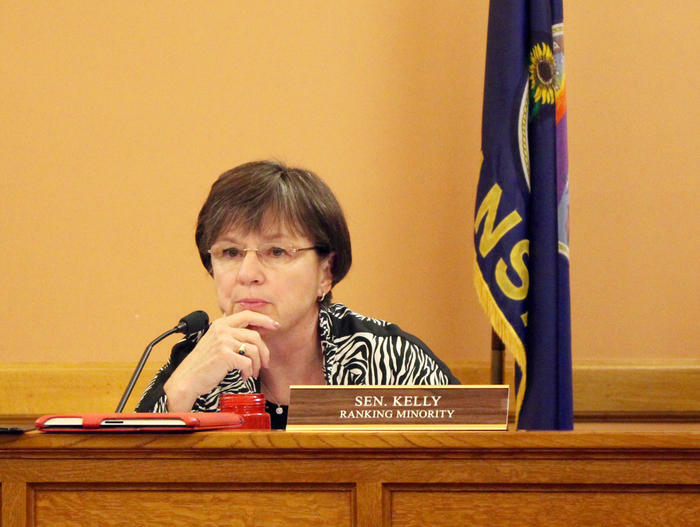 A public letter by the head of the Kansas Department for Aging and Disability Services praising KanCare’s effect on Kansans with disabilities has drawn a string of rebuttals from people who provide disability services. A letter by Tim Keck, head of the Kansas Department for Aging and Disability Services, published in the Oct. 24 edition of the Wichita Eagle, has drawn a string of rebuttals from people who provide disability services. Tim Keck’s letter was published Oct. 24 on the Wichita Eagle editorial page. 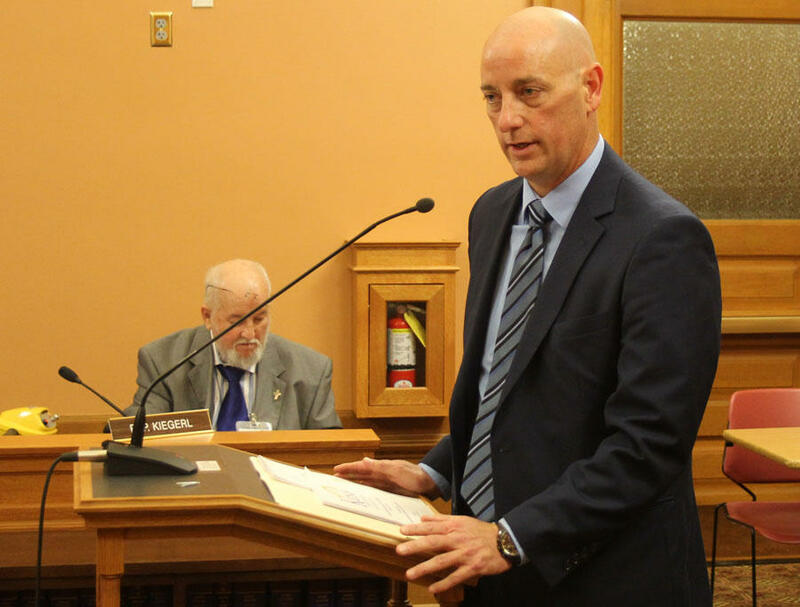 In it, the interim KDADS secretary said KanCare — the state’s move to privatize Medicaid under the administration of three insurance companies — has improved the lives of Kansans with disabilities and that the state’s safety net is strong. Kansans with disabilities are receiving 36 percent more home and community-based services and making 29 percent fewer trips to the emergency room since KanCare began, according to Keck. “The health concerns of the disabled are being addressed earlier and more effectively than they had been under the old system,” he said in his letter. Keck’s letter was itself a rebuttal to an editorial by Gary Blumenthal that the Eagle published a week earlier. Blumenthal, a former Kansas House representative and current member of the National Council on Disability, had urged the federal Centers for Medicare and Medicaid Services to reject efforts by Gov. Sam Brownback’s administration to renew KanCare past 2018. Blumenthal said KanCare has caused hardships for disability providers since its launch in 2013. After Keck’s letter was published, those disability support providers began speaking up themselves. Editorials from providers rebutting Keck’s characterization of the strength of the safety net appeared in the Eagle and the McPherson Sentinel. Interhab, a Topeka-based advocacy group for providers, released a letter written by Executive Director Tim Wood. The common refrain in their letters: KanCare had increased the bureaucracy for getting reimbursed while providing no better care coordination than the previous state-run Medicaid system. Extra billing hassles, plus stagnant reimbursements and policy changes that resulted in budget cuts, are driving providers away from the industry and reducing care options for Kansans with disabilities, they said. Officials who lead Johnson County’s government agencies that support residents with disabilities and mental illnesses penned their own response to Keck’s letter, which was backed up by the Board of County Commissioners. In it they said their network already was shrinking with last month’s closure of Cornerstone Supports in Olathe and Johnson County Developmental Supports had asked the commissioners to hire extra staff to help Cornerstone clients who have intellectual and developmental disabilities as they look for new providers. Richard Overcast, a health insurance specialist with the CMS regional office in Kansas City, sent an email to state officials on Aug. 11 with a series of five requests for more information on KanCare network maps sent to him about a week earlier. Correspondence between state and federal officials obtained under the Kansas Open Records Act shows that CMS regulators had questions about the strength of KanCare’s disability supports networks before Cornerstone closed. Richard Overcast, a health insurance specialist with the CMS regional office in Kansas City, sent an email to state officials Aug. 11 with a series of five requests for more information on KanCare network maps sent to him about a week earlier. “Please provide evidence showing, or describe the basis of your conclusion, that the provider networks illustrated in the data are sufficient to serve the enrollees in the service area,” Overcast wrote in his final request. Mike Randol, director of the Division of Health Care Finance at the Kansas Department of Health and Environment, responded by sending data from the three KanCare managed care organizations, or MCOs, and saying the state would vouch for them. “The state certifies the documentation submitted by the MCOs complies with the state’s requirements for availability of services,” Randol wrote. Wood, in his letter on behalf of Interhab last month, said CMS officials continue to scrutinize the networks and were in Kansas doing a comprehensive review of KanCare when Keck’s editorial was published. “The result of (the review) will most certainly show that KanCare is not a ‘remarkable success’ for Kansans with disabilities,” Wood said. But not all providers have a negative impression of KanCare. Ben Swinnen, executive director of Equi-Venture Farms in Topeka, says on the whole KanCare has been positive for his company, which has grown since managed care Medicaid started in Kansas. Ben Swinnen, executive director of Equi-Venture Farms in Topeka, said adapting to three MCO billing systems involved some challenges, but on the whole KanCare has been positive for him. “I’m trying to engage (with the MCOs) rather than say, ‘Why is it not happening?’ and through that engagement I’ve had fabulous results,” he said. Swinnen said his company has remained open for referrals of new clients with developmental disabilities since KanCare began and has added the capacity to serve about 15 percent more people in each of the last three years. 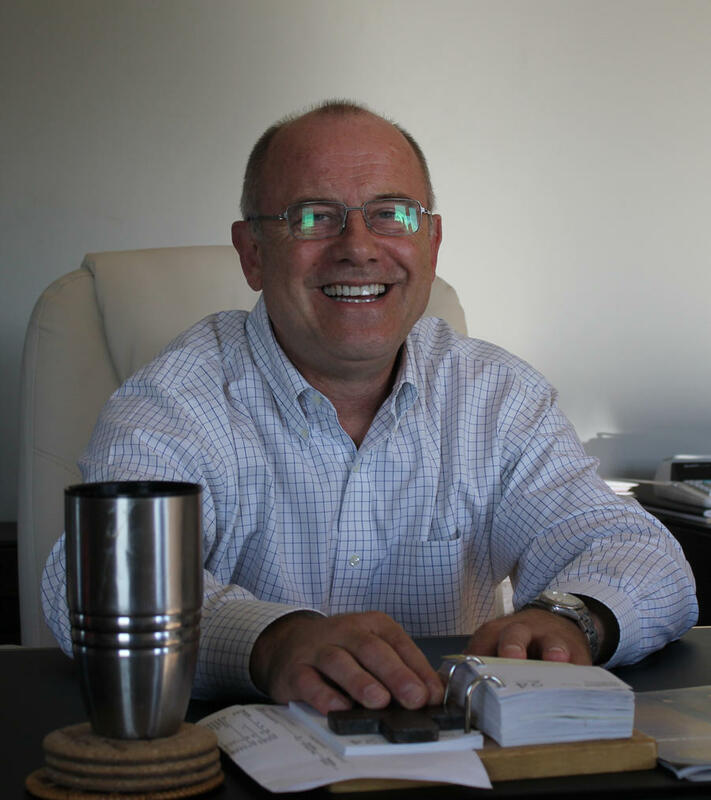 He now serves more than 100 clients and recently expanded his enterprise by buying a small agency in Newton that was struggling. Several Kansans are scheduled to meet Tuesday with federal officials and counterparts from across the country to discuss issues related to the privatization of state Medicaid programs. 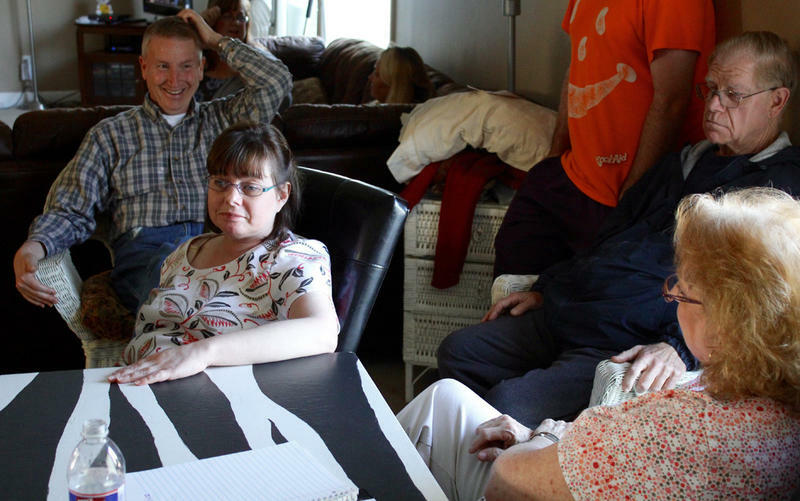 The employees of Cornerstone Supports gathered last week at a house in Olathe with their clients — adults with intellectual and developmental disabilities — to plan their last day together. Cornerstone, based in Olathe, will close later this month, and its 19 clients will have to find other companies to help them with daily tasks so they can stay in their own homes. The regular gatherings at the Olathe house where three Cornerstone clients live will end Oct. 28. “We should do something,” said Brandon Thompson, one of the clients. At his apartment in Olathe, Kansas, 42-year-old Nick Fugate catches up on washing dishes and remembers the 22 years he spent doing it at a local hotel, trying to stay on top of a never-ending-stream of plates, glasses and silverware. Nick recalls minor annoyances like the long days, the hot kitchen and his fingers pruning in the water. It could be tedious, but he says he didn’t really mind. “Just as long as I got the job done, it was fine,” Nick says. Kansans with disabilities make up about one-fourth of KanCare, the state’s managed care Medicaid model. But they’re a vocal segment, and they and their advocates painted a picture Tuesday of a system struggling to provide them with the long-term supports they need to stay in their homes and communities rather than institutions.